True to stereotypical Aspie form, I drew a connection between neuro-types and computers (lol). The “rest of the world”, including the scientific researchers, like to think of the Asperger’s/autism spectrum as an “app” of sorts, usually an unwelcome one, or a even a “virus”, one that interferes with the OS’s function, and therefore must be eradicated, making the system “clean” again. And they want to treat it like one. “They” believe that if only the app could be uninstalled, the function would improve and the computer (or person) would be “whole” again. In truth, Asperger’s/autism is not an app; it’s an “OS”. If the Asperger’s/autism could be somehow stripped away, the person would not function the same. Any co-“morbid” issues like anxiety, depression, PTSD, etc, are indeed “apps”, since they’re acquired later in life, and usually in response to a stimulus/environment. But not the Asperger’s/autism itself; that’s hardwired into the brain, influencing its functions at the root level, and cannot be removed without fundamentally changing the person. Computer aficionados have long locked horns in a spirited debate over which OS platform is better: Windows/PC or Apple/Mac? And for a long time, Windows/PC dominated, because that’s what businesses gravitated toward, while Apple/Mac was laughed off as a school-only system that few used in the “real world” because of the scarcity of software programs written for the platform. And then, seemingly out of nowhere, Apple/Mac came roaring back, with a sleek, chic new line of products and rock-solid firmware. When you put the two OSs side-by-side, you’ll see that the Mac OS runs fairly smoothly, requiring few shutdowns/restarts. It’s intuitive (once you scale the initial learning curve), and it just plain makes sense. It’s more powerful, more resilient (I haven’t used an anti-virus program–ever–and haven’t yet (knock on wood) gotten any Mac-susceptible viruses). It’s creative and unique, and at times, quirky. Despite its elegantly simple desktop appearance and function, there’s a lot going on behind the scenes. That’s kind of like how I perceive Aspie/autistic people. The “rest of the world”, however, runs on a Windows/PC-type mentality. In general, society is a lot like (how I perceive) Windows: it’s buggy, unnecessarily complicated, borderline-condescending (remember the Paper Clip of Microsoft Office? Gah), and simplistic (despite how complicated it is); you can’t do as much, nor as efficiently. It’s boring and has a cheesy, infantile “corporate” feel (why else would businesses like it? And besides–some of its clipart dated back to 1993 or earlier). It appeals more (by comparison) to the “sheeple” masses (“well, I guess I’ll get one because hey–it’s cheap and besides–that’s what everyone else is using”, as opposed to the “Apple/Mac geeks”). The Windows OS is where the lion’s share of technological exploitation occurs; viruses are almost all written for Windows machines, they explode and propagate across Windows machines, and I also remember another fiasco back around 2005-ish, in which some idiot figured out how to utilize an onboard message system in order to harass Windows users until they paid a ransom of sorts (around $300) for a “program” to make it stop. One of my pet peeves with Windows is that it would freeze, crash, and need rebooting fairly frequently “just because”. On the other hand, Mac (the Aspie/autistic people) don’t have those problems. We run and run and run, always active, always crunching and processing…until, occasionally, we start to drag, run slow, and need rebooting, too. But we’re never down for long. Once restarted, we get right back up again, and when we do, we go about our business, moving and shaking the world, without much fanfare. But alas, we’re not the standard…although we should be. Apple/Mac has done an excellent job of reaching out to “the rest of the world” (the Windows users looking to migrate, looking for something new). A Mac system will read–and save in–several of the most common Windows-based file formats. And just like Mac, Aspie/autistic people have done the same; we’ve had to learn how to read–and send in–allistic language and customs, trying to survive in an allistic world. We, too, have reached out, in a friendly, unassuming, agreeable, and non-judgmental way, attempting to raise not only awareness but acceptance, and helping newcomers (newly-diagnosed/realized) spectrum-mates across the bridge. What about Microsoft? Microsoft (at least as of 2011) does not extend–and has never extended–the same courtesy. It doesn’t read or save files in Mac format. 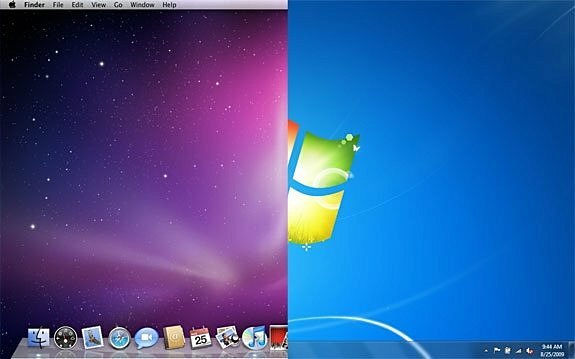 In the Windows world, Mac might as well not exist, and it just as soon doesn’t. Is a pattern fairly clear? Is everyone starting to see the Mac-Aspie and the Windows-allistic associations? For a time-span of a few years, Apple offered one-to-one tutoring sessions with every purchase of an Apple product. This offered expatriating Windows/PC users to come on over and get acclimated to the Mac world, with expert help and support. The newcomers grew to love their Macs, and started to use them to do and make things they had never imagined. Life was grand. In a way, that’s what we, the spectrum people, need: true awareness, acceptance, education, and training for non-spectrum people (especially professionals working with autistic people of any age). We need the allistic world to learn to work with us, to become able to communicate and interact successfully with us, to learn to help encourage and support our attempt to utilize our own talents and skills. We need the rest of the world to become truly enlightened and to learn to reach out and bond with us, to coexist peacefully with us, without trying to change us, but instead, to learn to be “bilingual”. And, true to Apple form, many Aspie/autistic people are itching to provide it! We do indeed have voices, and we’re not afraid to use them. We want to shine together. 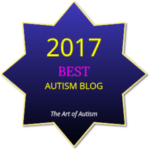 Next Failing at Asperger’s / autism…? Fed up of the allistics who always think they know better and never ask us what we want, and never listen when we try to tell them. Reblogged this on Inside Story: Asperger. This is brilliant! I’ve heard the different OS analogy before, but never seen it as well explained as this.